Most will already know that the last of Korea’s three wunderkids has left FC Barcelona. Jang Gyeolhee was the first to depart. To Greece and Asteras Tripolis FC he went. Paik Seungho was the next to seek pastures new. His trip was much shorter, just a little further north to Girona (Girona B to be more exact). And now, Lee Seungwoo has left the club. He will seek his fortune in Italy at Hellas Verona. Lee will reportedly sign a four-year contract with Barcelona having a two-year chance to buy him back. If you are a lover of calcio or Serie A in general, you will certainly be familiar with the Gialloblu (yellow and blues, almost all Italian club nicknames are on the colors of their shirt). If you do not follow the league, allow me to try and briefly introduce them. The club was founded in 1903, and for most of the past 100+ years they were really the “only” team to represent the city. Chievo Verona, the other team from the city, was founded in 1929, but didn’t reach Serie D (the Italian 4th division) until 1975, and it wasn’t until 2001 that they reached Serie A for the first time. 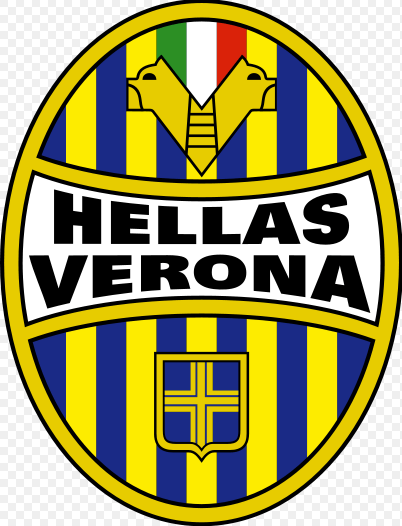 Most people when referring to the two sides will call Hellas Verona “Verona, and Chievo Verona “Chievo”. Hellas are actually one of the few teams outside of Italy’s big 3 (Juventus, Inter, and Milan) to win the scudetto (Serie A championship). Winning the 1984-85 championship with 43 points (2 pts for win, 1 for draw), four points clear of second-placed Torino. Juventus, who won the title the season before and after, finished that season in 5th place, seven points behind Verona. How was it done? Many fans (and especially anti-Juventini) say it’s because that season was the only season in which the match referee was assigned randomly rather than assigned by a panel of referees. Those fans will point to the “fact” that Juve could not bully or bribe the ref (or get a more favorable referee) in advance, and thus they finished where they should. Despite winning the title, Hellas Verona was not able to maintain that success. The club ran into financial trouble in 1991 and folded to be reformed as simply Verona (the club would change their name back to Hellas Verona in 1995). Verona bounced between Serie A and Serie B for many years before being relegated to Serie C1 at the end of the 2006-07 season. For a little while, it looked like Verona may get relegated to Serie C2, but they recovered in time to avoid that fate. Finally, at the end of the 2012-13 season the club finally made it back to Serie A. The club stayed in Serie A for a few years, but were relegated after the 2015-16 season. The club is back up in Serie A after finishing second in Serie B last season and getting promoted. There aren’t too many familiar faces in the current Verona squad. Probably the most well-known player is defender Martin Caceres, who also spent a few season at Barcelona. That connection, plus that Caceres speaks Spanish, may make him an important initial contact for Lee Seungwoo as he settles at Verona. The club captain is Giampaolo “Pazzo” Pazzini. Pazzini is a veteran Serie A striker and enjoyed his best spell when at Sampdoria from 2009-2011. There he struck up a very nice partnership with Antonio Cassano. Speaking of the mercurial talent, Cassano and Pazzini were supposed to reignite their partnership at Verona this season, but Cassano signed, decided to retire, unretired, and then retired again (all in two weeks time). Alessio Cerci, formerly of Atletico Madrid and Torino, is their other big signing this offseason. How Can Lee Seungwoo Fit In? Verona boss Fabio Pecchia seems to favor a 4-3-3 formation, which is potentially good for Lee Seungwoo as he should be quite familiar with the roles of the formation. It is difficult to see Lee, with his smaller stature and history of getting muscled off the ball quite easily, as a center forward for Pecchia. Pazzini and Cerci will almost certainly get that look before Lee would even have a sniff. Which would mean that Lee will play as a left or right wing attacker. If Pazzini is at center forward, Cerci will take the right wing as he is a left-footer who likes to cut inside. Assuming Pecchia does want Lee to get minutes, his primary competition will be another diminutive youngster in the form of Daniele Verde (on loan from Roma). Verde is the same size as Lee if not an inch or so smaller, but he is a couple years older. Verde also has the added benefit of having a handful of seasons playing in Serie A and B. Verde has started all three of Verona’s first three competitive matches (1 Coppa Italia and 2 Serie A), and scored a brace in Verona’s 3-1 win over Avellino in the Coppa Italia. How Much Will He Play and Can He Succeed? Most likely, Lee Seungwoo will see little time on the pitch. As we are all aware, his time not playing due to the FIFA ban has slowed his progress significantly. He is catching up as we’ve seen with the Korea youth national teams, but still has a lot of work to do to play regularly at the top level. It’s hard to see him overtaking Verde or anyone else in the pecking order in the near or intermediate term, but if he can develop his strength and adapt to Serie A, he certainly can have a future. Diminutive playmakers can succeed in Serie A, see players like Papu Gomez at Atalanta or Napoli’s Lorenzo Insigne. But there are also players who have been left on the wayside like Sebastian Giovinco and Juan Iturbe. Lee’s pace and dribbling ability give him the potential to be a success in the slower, slightly more rigid Serie A, but Lee will not find the technical ability around him that he may be used to. As a result he could struggle to get in good positions and we will see if he can cope with the higher physical levels of a top-flight league. Italy does not have a reserve league or B sides, so if Lee is not playing for the first-team he will not be playing competitively. Verona will likely find themselves towards the bottom of the table, although they should be safe as there are a handful of other teams that appear to be worse than them. Regardless, Pecchia will not have too much luxury in playing young, untested players like Lee that often. I would not be surprised to see Lee Seungwoo leave on loan during the winter window or next summer, perhaps to a Serie B club like Avellino, Pescara, or such that have a better reputation for playing youngster. Italian fans are quite notorious for their *ahem* passion for their club, and the ultras are quite a spectacle to see firsthand. 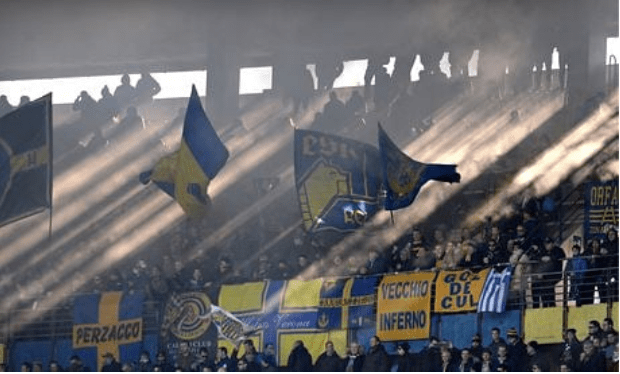 Verona’s ultras are one of the more notorious groups due to their history of right-wing politics and willingness to use whatever means they can to abuse and taunt opposition players and fans. Officially, the Brigate Gialloblu have disbanded (after being threatened to be labeled a criminal organization by law enforcement), but the old members still are there. It would be odd (although certainly not unusual) for Verona’s ultras to turn on Lee, but Italians are very peculiar when it comes to football. Lee’s initial comments, about not wanting to leave Barcelona and wanting to return there, while honest I’m sure, are probably not the best way to introduce yourself to new fans who generally expect you to go full out for the club. Verona’s reputation also means that they have some fairly heated rivalries with other clubs – such as Juventus, Milan, Inter, Napoli, Atalanta, Chievo, and Vicenza. The ultras of those clubs will certainly be more than willing to abuse Lee should he play, and the fact that he’s Korean will certainly add fuel to the fire. Italians (and many non-Korean fans) have not forgotten the 2002 World Cup when we knocked Italy out. Infamously the only other Korean to play in Italy, Ahn Junghwan, had his contract rescinded by his club for insulting Italy with his goal (according to the club president of course). Many Italians still regard that match as a disgrace (yes, yes pot kettle black given the refereeing controversies in Italy) and fraudulent. Korea and Italy have not played since then, but 15 years of simmering anger could be unleashed on Lee when he takes the pitch. On the other hand, if Lee can work himself into the ultras’ good graces, then they will cheer and support him wherever Verona plays (Italians do travel). And perhaps that can motivate him to continue to work hard and improve his game. Time will tell. What do you think of Lee Seungwoo’s move? Will he succeed at Verona? Interesting and insightful article. Seeing as there is no reserve team for Lee to get regular minutes, I can’t help but wonder if it would have been better for him to join a 2nd-tier league team or the top flight of a league less prestigious than Serie A. Winter loan as you suggest seems the most realistic possibility since it doesn’t seem like he’s brought in to truly challenge for the LW spot. He needs consistent minutes, a streak of goals in April/May might even get him that 23rd spot on STY’s 2018 roster.